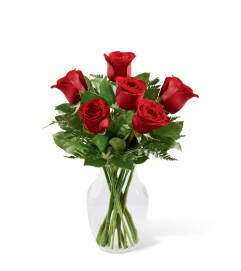 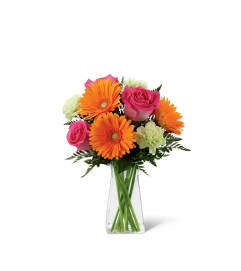 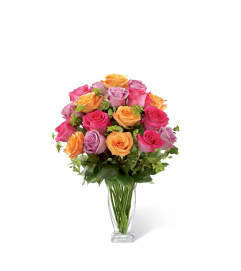 The FTD® Graceful Wonder™ Bouquet by Better Homes and Gardens® blushes with floral beauty to send your special recipient your most heartfelt sentiments. 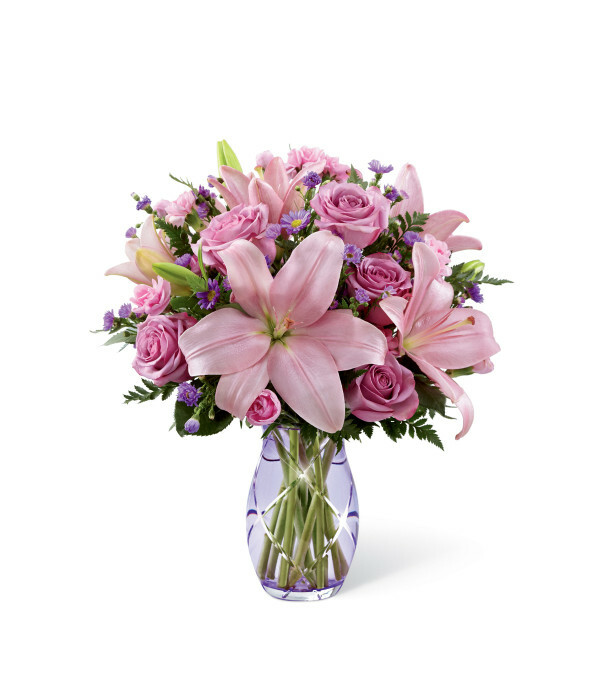 Lavender roses and pink Asiatic lilies are surrounded by pink mini carnations and purple Monte Casino asters to create an incredible flower arrangement. Presented in a designer lavender cut glass vase, this mixed flower bouquet will make the perfect impression on their birthday, anniversary, in celebration of the birth of a new baby girl, or as a way to express your thanks and gratitude.